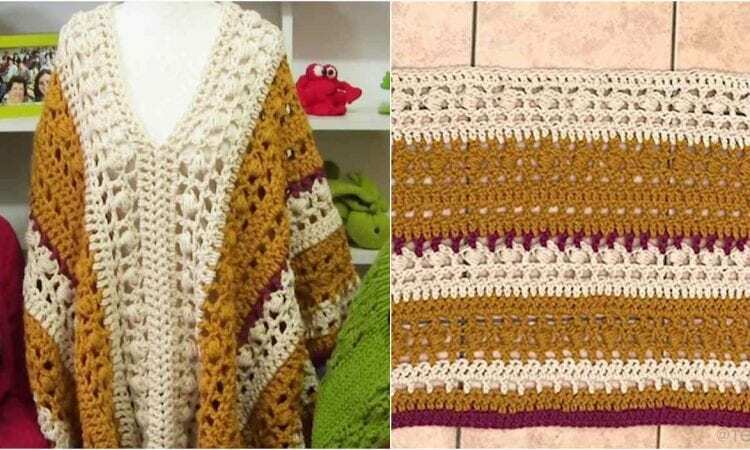 This beautiful poncho is made of 2 rectangles which makes this pattern easy even for beginners! Simple and quick will be a fun project to make during winter evenings. By using a chunky yarn you will get an elegant look and a warmth, but you can use yarn of your choice as well. Links the free pattern and video tutorial are at the end of the post.